A car title loan company operating in Massachusetts without a license faces huge losses, while its customers in the Bay State won't have to pay back their loans. A state court has issued a permanent injunction against Liquidation LLC at the request of Massachusetts Attorney General Maura Healey. As a result of the court order, the company is barred from operating in Massachusetts and the 200 consumers who took out loans don't have to pay them back. Consumers whose vehicles were repossessed because they couldn't repay their loans will get their cars back. Liens placed on vehicle titles have been dissolved and new titles have been issued to the affected consumers. Healey says the ruling should send a message. Car title loans are similar to payday loans, except instead of being secured by a paycheck, the loan is secured by a car title. But both are short-term loans that consumers often have difficulty repaying on time. If a consumer doesn't have $300 for an emergency repair and has to borrow the money, chances are they won't have the money to repay the loan two weeks later. 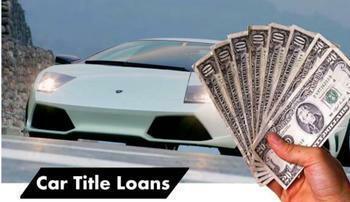 Car title loans usually have a longer term, but often have to be repaid in full after a year. Healey's suit charged Liquidation did not inform borrowers of the extent of final payments when the loan was due. While payday loan customers are often trapped in a cycle of debt, taking out one loan after another to pay back the previous loan, many car title loan customers end up losing their vehicles. In fact, research compiled by the Center for Responsible Lending earlier this year found one in five consumers taking out a car title loan end up losing their vehicles. Healey says several vehicles that Liquidation repossessed are now at auction houses waiting to be sold. But the court has ordered them removed and returned to their owners. In addition, the company has to pay $197,600 restitution and $1,135,000 in civil penalties. Healey filed the suit more than a year ago after an investigation found Liquidation was making loans ranging from $700 to more than $9,000, with interest rates ranging from 181% to 619%, in violation of state law.